My inspiration for the collection really started way back, even before I started making jewelry. In 2009, when my son was stationed at Yokota Air Force Base in Japan, he informed me that family members are able to stay on base. I jumped at the opportunity to go to Japan and that trip actually changed my life. First, a little back story. In 2007 I had been diagnosed at age 39 with stage 3 breast cancer and underwent a rigorous treatment of surgery, chemotherapy, and radiation. Fast forward 2 years later with my hair and eyebrows coming in nicely, I decided to venture overseas to visit my son I had missed so dearly. I planned it meticulously, figuring out where we were going to explore, including visiting Kyoto during their annual Hanami, or cherry blossom viewing in April. All of Japan is amazing, including their gracious people, beautiful temples, and amazing culture, but Kyoto, particularly during cherry blossom season was a sight to behold. If you ever get a chance to go to Japan I highly recommend it! 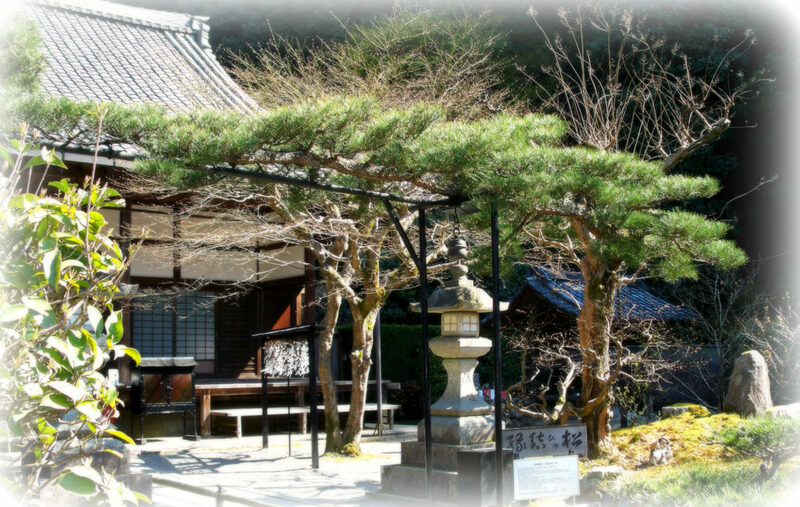 There was one day, in particular, visiting a small Buddhist temple called Saisho-In at the base of a peaceful mountain, that I felt this sense of peace and happiness come over me. It was a letting go really, of all I had been through with the cancer diagnosis and treatment. Who knows what prompted this feeling, but there was a poem in English on a plaque that captured my attention. Saisho-in: a small, Eight Century Buddhist temple in a mountain gorge near Kyoto, Japan. 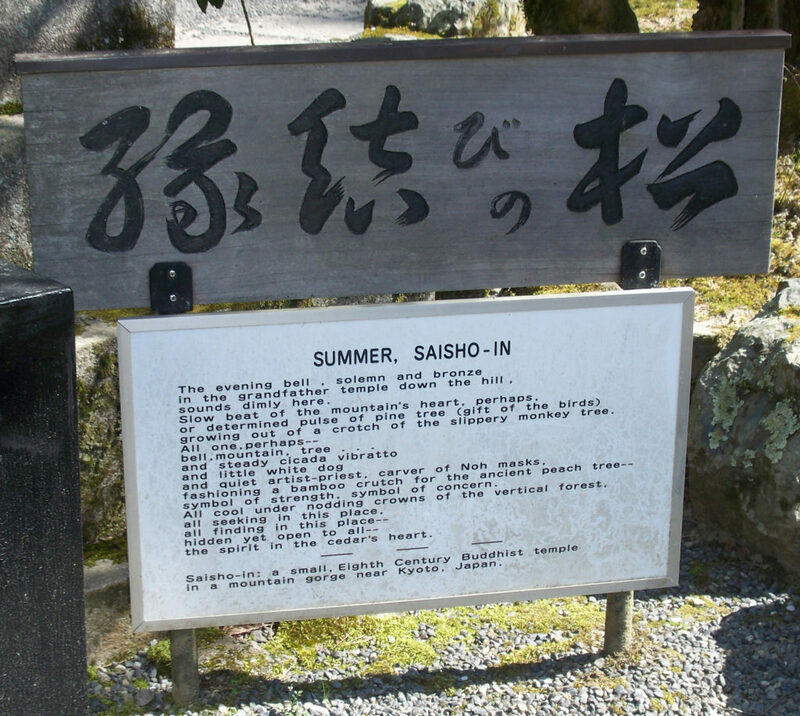 I didn’t fully grasp the meaning of their Hanami, until years later when looking back on our visit. I now understand this feeling I had as an acceptance and an understanding that we are all transient beings, just like the cherry blossoms. Only here for a short sweet while, so we better make the best of every moment! 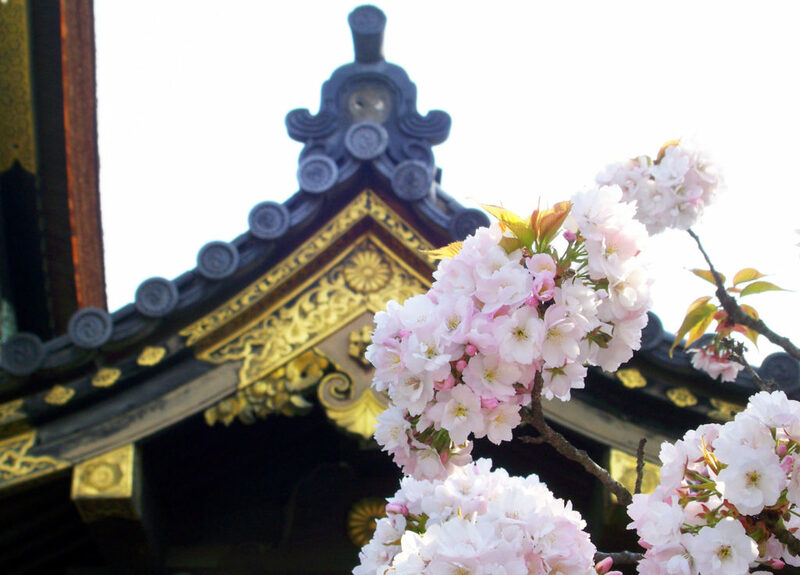 The Sakura, or Cherry Blossom was the first flower to be part of the collection and then it grew from there. I later included the Peony, Rose, Hibiscus, and the Lotus Flower. 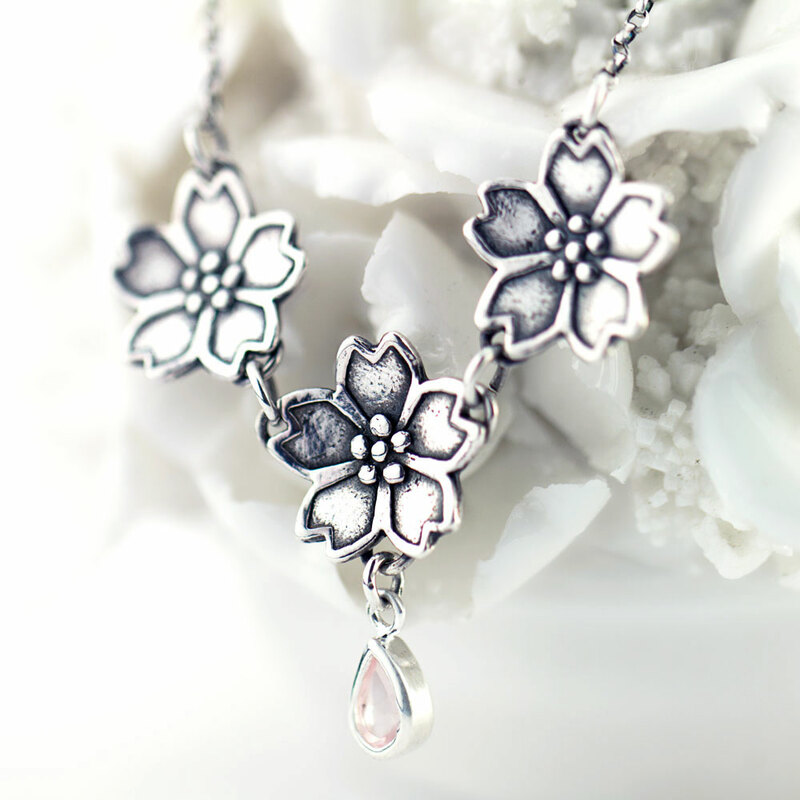 Each flower is frozen forever in sterling silver, waiting to become your favorite piece! This year will mark my 10th year of being cancer free. My good friend Marta, who is also a cancer survivor, likes to say we are cancer thrivers. I agree with that and try to live my life humble and grateful for each and every second.